2. How Networks Evolve During Advanced Stages of the Cluster Life Cycle? 6. 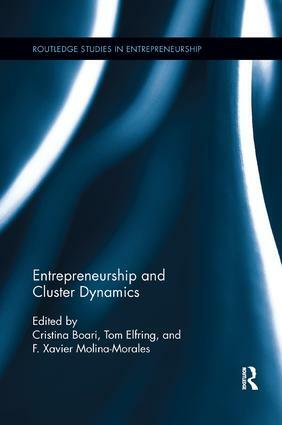 How Does a Networked Business Incubator Fuel Cluster Emergence? A Theoretical Discussion and an Empirical Illustration. Cristina Boari is Professor of Strategic Management at the Department of Management at the University of Bologna, Italy. Tom Elfring is Professor of Strategic Management and Entrepreneurship at the Faculty of Economics and Business Administration of VU University Amsterdam, The Netherlands. F. Xavier Molina-Morales is an Associate Professor of Management in the Department of Business Administration and Marketing at the Universitat Jaume I de Castelló, Spain.